Master Tung Acupuncturealso called Tung’s Magic Points, is a style of acupuncture that was developed from old family systems that existed prior to the Chinese Culture Revolution. Master Tung acupuncture uses distal points and focuses heavily on the interrelation between channels and on body imaging or mirroring. The magic comes from understanding channel relationship and how to craft your own unique solutions using Tung’s points. Most Acupuncturists are accustomed to using many needles per treatment, in a course of 10 or more treatments, before they see results. But with Master Tung magic points the patient usually feels improvement after only one or two treatments, with very few needles. Master Tung’s Points are fondly referred to as ‘magic’ because in most cases, these points deliver instant and lasting results. Tung style acupuncture does not need the use of diagnostic methods (pulse, tongue etc.) 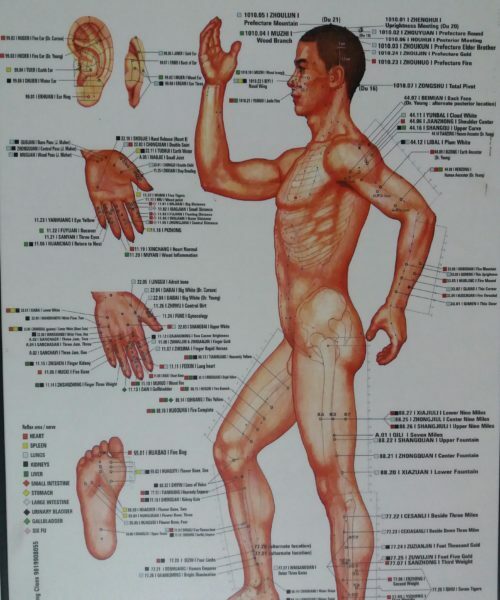 Tung’s Acupuncture is very safe, most of the points are located on the extremities, pushing energy towards a deficiency or pulling it from an excess. Needles are never inserted at the site of pain or injury. This efficient system enables to see many patients in a short time, and it’s perfect for network or group acupuncture. Patients love the simplicity and effectiveness of Tung’s Point Treatments.